Hello Darlings, It was one of the most perfect early summer days ever as we drove north through weaving country roads en route to a weekend getaway at Blue Mountain Resort. Having traveled a lot the past couple of years, nothing really compares to spending a weekend in our Canadian "backyard". It's a sweet feeling of being at home while still exploring new things. 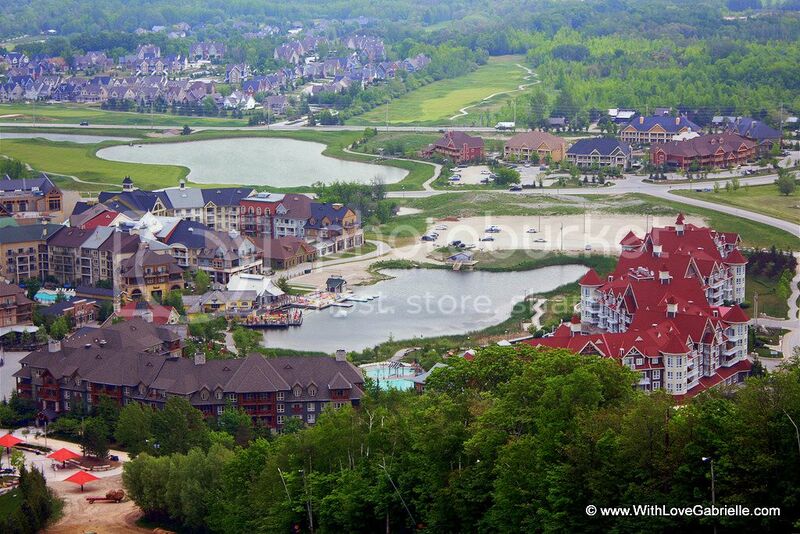 In just under two hours, we arrived at the charming Blue Mountain Resort. Nestled on the shores of Georgian Bay on the beautiful Niagara Escarpment, the resort is perfect for romancing couples, girl getaways, boys weekends, and of course families. As I've only been to the resort during ski season, I was quite keen to check it out in summer time! For our romantic weekend for two, we stayed at the beautiful The Westin Trillium House located at the base of Blue Mountain, and overlooking the picturesque Millpond. The architecture is in the style of Georgian Bay lodges, which has a very distinct and welcoming Canadian feel. As I've stayed at the resort previously on a winter getaway, I will say this hotel is my favorite but then again in my experience Starwood Hotels are always excellent. The following morning, we enjoyed a delightful breakfast at Oliver & Bonacini Café Grill overlooking the quaint Blue Mountain Village. It was some calm before a storm, as our first activity of the day was a lengthy hike up the mountain! After enjoying the scenic view from the top of the mountain, we enjoyed a peaceful ride down on the gondola, plus I wasn't sure if I would make it back down otherwise . The weekend was packed with amazing activities, first time experiences and culinary delights... it was truly amazing to spend a weekend so close to home yet so far from my everyday life in the city! 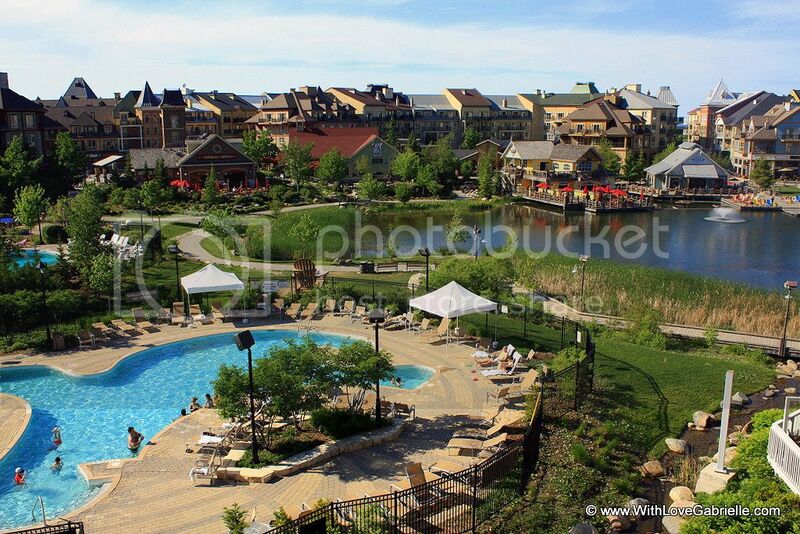 Also worth mentioning, Blue Mountain Resort has developed several new summer activities in the village. My favorites include Ridge Runner Mountain Coaster, Open-Air Gondola, Private Beach for lodging guests, Cascade Putting Course and an adorable Plunge! Aquatic Centre for the little ones. Special thank you to Collin of Blue Mountain Resort and Stacy of The Westin Trillium for making this trip unforgettable!